supernatural stories that will send a chill down the spine of tourists and residents alike. 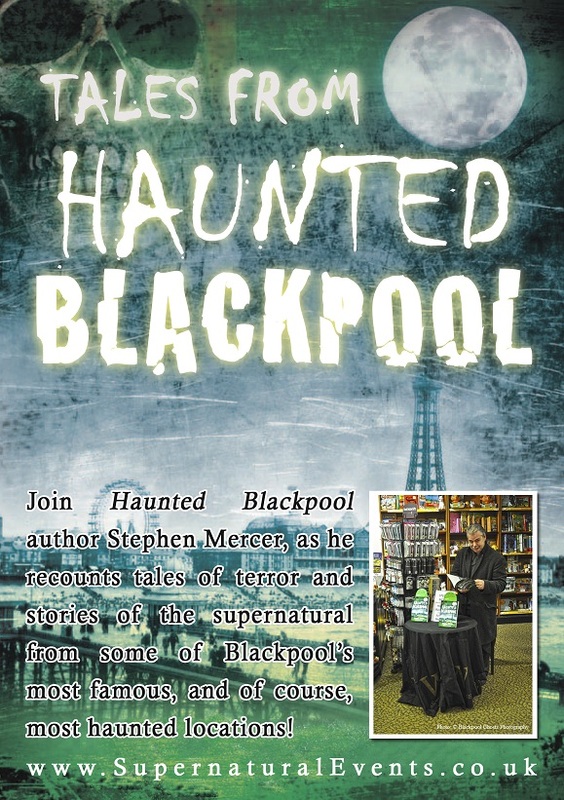 Author, and founder of Supernatural Events, Stephen Mercer’s terrifying collection of true-life tales, published in the book Haunted Blackpool, is guaranteed to make your blood run cold, looking at stories of phantom’s on the Prom, spooky shades in the sand, the lady who walks the pier and the siblings who play in the fountain. These among many other stories of the paranormal will make you wonder what happens when silence drops over this iconic holiday destination, when the tourists are tucked away in bed, and when the nightclubs and restaurants close for the night. 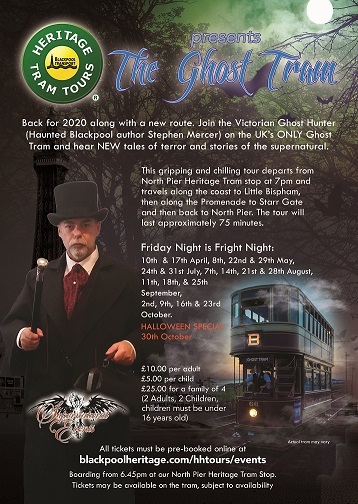 Stephen can be booked to present Tales From Haunted Blackpool; an hour-long presentation that include photographs of Blackpool locations "then and now" along with images taken on paranormal investigations that will make you question everything you thought you believed in. 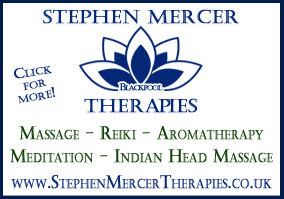 For more information and booking enquiries, please call Stephen on 07519 265637 or use the Contact Us link on the left. "Dear Stephen, I had to send you this review of the talk you held at the Memory Lane Café lunch club on Tues 01/11/16. I can honestly say that it was the first time that I have ever been able to hear a pin drop in that room. You are such an accomplished story teller, the whole room was enthralled with what you had to say. The whole talk from beginning to end was so informative, and spell binding, it was just such a shame that the room was too light to enable you to use your projector, but you more than made up for that with the quality of your talk. "Can I say from the bottom of my heart thank you very much, and I am so looking forward to hearing more tales of Haunted Blackpool. I am a true sand grownun and have definitely got a lot more to learn about my home town. Congratulations on a brilliant afternoon and here’s to many more. 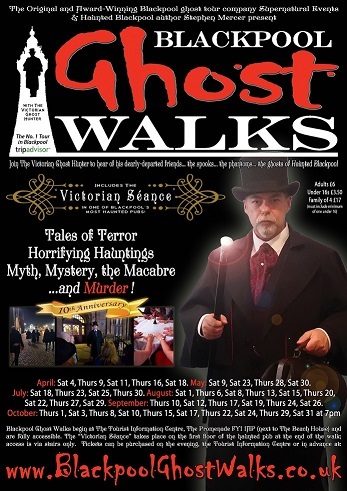 You may also be interested in Stephen's spooky storytelling events: Chilling Tales with The Master of the Macabre! Click HERE for more details.